In business and in life, the most important discussions you will ever have may not be the ones that everyone else is having. If you have been paying extra close attention to what we choose to cover here in our insights, you may have noticed that we don’t always stick to the road most traveled when it comes to Digital Transformation topics and companies, and that our opinions aren’t always in line with the safety of the herd. We don’t sing the praises of tech media darlings like Apple and Google, for instance. We also don’t gush over Virtual Reality or Facebook’s investment in it, and look upon enthusiastic VR adoption projections with measured suspicion. When companies and technologies fall short in a significant way, we point that out. Likewise, when a company impresses us with its ingenuity or ethics or results, we tend to give that company some well-deserved visibility, and we do our best to explain why. This may help explain why while the majority of analysts and tech writers will focus their energies writing the exact same article about a new smartphone, or a new set of VR goggles, or a new laptop, we will instead be writing about collaboration tools that actually solve a problem for the enterprise and SMBs, or about STEM jobs vs automation and what they means to the future of employment, or about companies that don’t always get as much press as some, but contribute significantly more to global innovation than the ones who stand on their shoulders and take credit for sprinting to the line in the final mile. So today, I want to begin a conversation about Qualcomm, and specifically, I want to start looking at how Qualcomm and the IoT (the Internet of Things) are inexorably intertwined in a way that isn’t always super clear to people outside the industry. It isn’t like Qualcomm is unknown. Nearly everyone has at least heard of Qualcomm, and everyone has at least some basic notion of Qualcomm’s connection to cellular networks and the “chip making” world. Even if your knowledge of what Qualcomm does is somewhat nebulous, you do get the sense that they are a major technology player someway, somehow. But… that isn’t enough, and I want to try and help fix that somewhat, because Qualcomm’s contributions to the IoT are far too important to remain vague or in any way unclear. What you need to know about Qualcomm (if you don’t already). Qualcomm was founded in 1985 by MIT and Cornell alumni, and was an early pioneer of satellite tracking and messaging technologies. Qualcomm is also the world’s largest vendor of chips used in smartphones today. In addition to its leadership in chip manufacturing, the company also licenses its technology to other firms, a direct result of the R&D they have done and continue to do to drive wireless innovation forward around the world. Qualcomm’s revenue last fiscal year was $23.6 Billion. 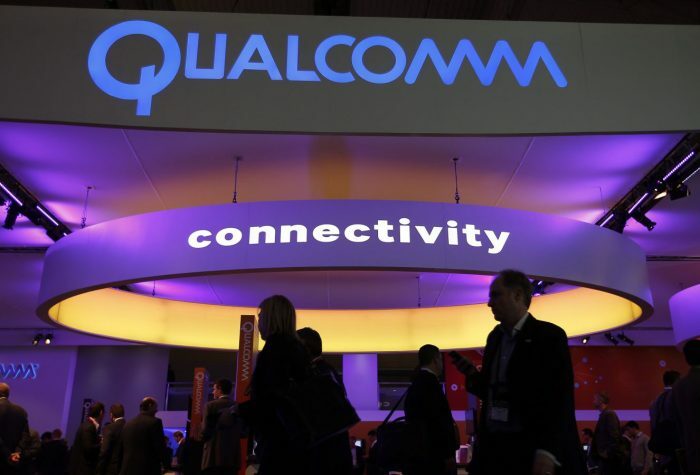 Qualcomm is in the process of acquiring NXP, which, if the deal passes regulatory inspection, will significantly add to its portfolio for IoT, Automotive and security. Okay. Now that you’re somewhat caught up, let’s talk IoT. What you need to know about the IoT (if you don’t already). If you aren’t entirely clear about what the IoT is, it is the network of objects and devices that feature internet connectivity (mostly wireless), and the communications that occur between them and other web-enabled objects, devices, and systems. This means objects that were traditionally “dumb,” like lightbulbs, can now take advantage of the brains in the cloud, and that our smartphones and tablets can now perform an ever-growing number of advanced functions that bridge the gap between what was once science fiction and what is now reality. B2B IoT spending (on technologies, products and services) is expected to reach $275 Billion in 2020. Overall IoT spending is expected to reach $450 billion by 2020. By 2020, roughly half of all IoT spending will focus on manufacturing, logistics, utilities, and transportation. IoT applications, services, and analytics will account for the majority of all IoT spending growth by 2020. The installed base of IoT devices is expected to grow from 15 billion in 2015 to 30 billion in 2020, and to 75 billion by 2025. In other words, the IoT is a big deal: Huge market. Fast-growing. Transformative in every way imaginable, from helping businesses automate to making everyday objects – from sunglasses to microwave ovens – potentially more useful for their owners. This means smart homes and self-driving cars, but it also means fitness wearables, childcare robots, augmented learning and tourism, industrial automation, smart utilities, and artificial intelligence embedded into every object imaginable. Behind all the cool, slick interfaces, the IoT is a wild, complex, messy place… but it doesn’t have to be. It is also important to note that the IoT is already growing into different very specific macro directions: Smart homes and Smart offices, Industrial IoT (IIoT), the Internet of Medical Things (IoMT), intelligent systems, and so on. As an innovation ecosystem, and perhaps more importantly, as an infrastructure play, understanding what makes it all work and who the players are, matters. A lot. And since the IoT as a whole, very much like cellular phones and wireless tablets (which some also consider part of the IoT), depends on a rich and complex ecosystem of chipsets, Bluetooth, Wi-Fi, and wireless networks in order to function, we find ourselves circling back to the world leader in wireless technology and chipsets: Qualcomm. Okay, but… as long as my smart speakers play the music I want, and my smart home knows when to power down or change my mood lighting, and my wearables work the way they’re supposed to, who cares who is behind it all, right? Well… it matters because if the right companies, the right partnerships, and the right standards aren’t in place to make it all work the way it should, the quality, range, and capabilities of the IoT could find themselves profoundly (and negatively) impacted. In other words, depending on who does what behind the curtain, the IoT could either end up purring like a well-oiled universal ecosystem kitten, or it could grow into an expensive, slow-moving, complex mess of systems that don’t talk to each other. Several well-publicized hacks have shown the vulnerabilities of these systems and highlighted the need for robust end to end security and privacy considerations. As you can imagine, this is far too complex a discussion to fit into just one article, so expect a deeper dive into different facets of the IoT world over the next few weeks and months. For now though, understand that the IoT isn’t going to naturally grow into a technological utopia of performance, reliability, security, and seamless interoperability. Someone has to help drive it there, and it doesn’t appear that the Apples or Samsungs of the world will be leading the way in that regard. On the development side, the kind of platform and system fragmentation the IoT has experienced until now is great because it gives developers tons of space and freedom to play, but on the user side (the market side), it isn’t so great: If your smart speakers can’t speak to your TV, and your TV can’t speak to your phone, and your smart home can’t speak to your healthcare wearables, the IoT is going to turn into one big disappointing headache, and there won’t be enough dongles out there to fix it. For real growth the applications for consumers need to be simple and seamless to integrate. So, in order to reach its full potential, the IoT is going to need structure, leadership, and a set of unifying standards that will either limit fragmentation or improve (guarantee) interoperability, or both. With high profile device manufacturers finding very little incentives to make their products interoperable with their competitors’ products, that burden may have to fall on the deeper layers of IoT innovators: the chipmakers, the platform developers, the regulators, and the critical IP owners. Interoperability is far from the only challenge facing the growing IoT ecosystem in the coming years: Cost, speed of innovation (time-to-commercialization), performance, ease of use, and security round out our list of major challenges that still need to be worked through in the coming decade. As Qualcomm’s footprint across several of these layers is rather large, here we are. To be continued – Platforms, products and services, partnerships, and interoperability: How Qualcomm may very well shape the future of the IoT. If you are a student of innovation – and more specifically, if you are trying to better understand the business of innovation, with its no-BS processes, outcome-driven cultures, and actionable leadership lessons – being able to take an occasional peek behind the curtain is an indispensable aspect of that learning process. One of the things I try to do here is deliver that peek, and in so doing, provide insights that you probably won’t find anywhere else. I haven’t done that for the IoT yet (and mobility on the whole, for that matter), and it’s time to rectify that. In Part 2, will tell you everything you need to know about where the IoT is going, and what we think Qualcomm’s role in that future will be, so stay tuned.